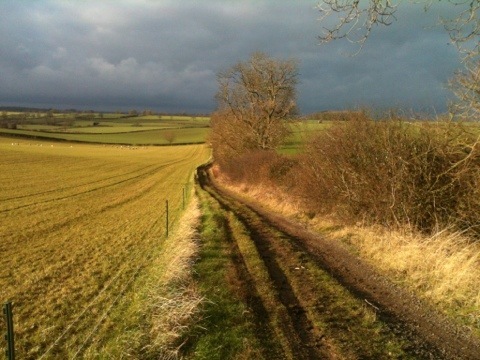 The view on my boxing day run which kept making me slow down to appreciate or take a photo! We spent Christmas with my husband’s family in Leicestershire. This was the second time I’ve been for a run there and I’m discovering it’s great place to run (and walk their dog) with beautiful scenery. Just a short run on boxing day to blow away the cobwebs and give me an appetite for the roast beef and more wine! That left me with just 13km to run to reach 1000km in 2011 which I ran in one go yesterday. 1000 miles completed! I’m now free to have 3 days off if I wish and enjoy some nice long walks with friends coming to spend New Year with us on the Isle of Wight. Like last year, they will be with me for my first Janathon run on New Years Day! 133 runs totalling 621 miles, or 1000 km, in 100 hours plus 80 British Military Fitness classes (80 hours). 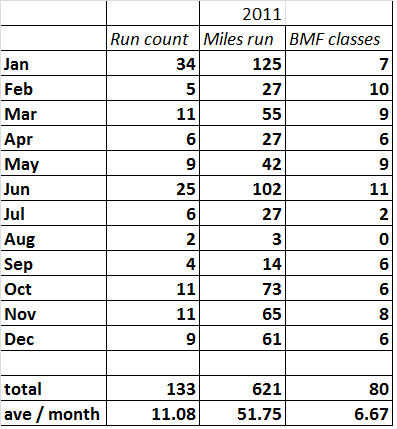 Not counting BMF classes, running 621 miles means I have burnt about 62,000 calories which is equivalent to about 17 pounds of body fat! Seeing as I weigh about the same now as I did this time last year, all I can say is it’s just as well I ran those miles! Categories: running | Tags: British Military Fitness, Janathon, Running | Permalink. Wow – that is bloody brilliant going – well done you! Now make sure you relax before Janathon starts as it’s all go from Sunday. I’m doing my final run on Saturday morning so it will need to do at least 6.4m, no pressure!